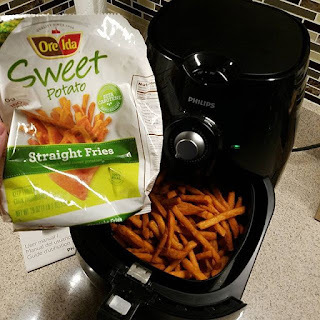 I Traded My Oil-Filled Deep Fryer for an AirFryer and This Happened! 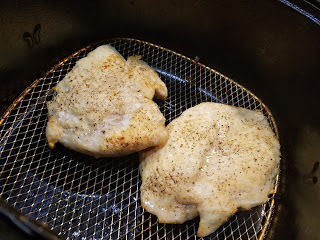 I first heard about an airfryer about a year and a half ago from a friend who had gotten one for her husband and said that he really liked it and it worked really well. She told me that food came out crispy and it was awesome for cooking french fries and chicken wings. I could not wrap my head around how something that did not use oil could crisp up a chicken wing. Have you ever tried to bake wings? They certainly aren't crispy, they are just tiny baked chickens! How do french fries become perfectly crispy when they are frozen and touching each other like worms in the basket?! All of this didn't make sense to me so I never bought one, until my wonderful wife, or the first lady of NEPA pizza got me the Phillips Airfryer for Christmas. I opened it up and was very excited, but still highly skeptical of this mystery appliance which I've heard about but didn't necessarily believe in. I opened it up and I was amazed at how simple the whole thing was. Just a boxy airfryer about the size of a keurig coffee maker with a removable basket and a two dials - one to set the cooking time and one to set the temperature. The instructions included a handy time/temp guide, but I decided to wing it (no pun intended) and toss in some french fries to give this a try. Although adding a little oil is optional, I did not add any to the fries. I set the timer for about 8 minutes and shook the basket every 2 or 3 minutes, and when the timer went off, I was astonished that the fries were totally done, totally crispy, and evenly cooked all the way through. 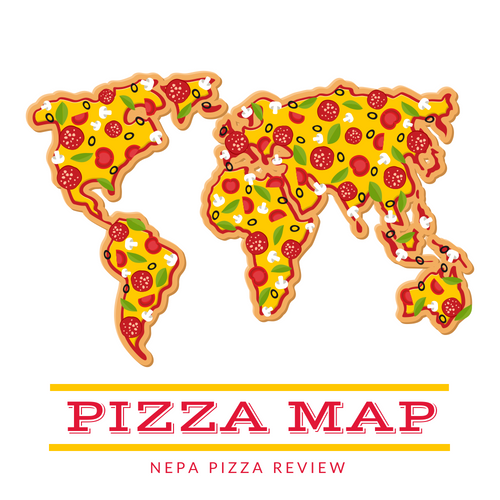 My family and I all took our first bite and just looked at each other dumbfounded - it really works! The fries were so crispy and tasted as if they had been deep fried without the grease. I took a look in the bottom of the basket, and what oils were in the fries were conveniently caught in the non-stick pan. We've since made just about every type of frozen product you can think of including fries, tater tots, pierogies, Arby's curly fries, fish sticks, popcorn chicken, chicken fingers, mini tacos, onion rings, and so much more. The only frozen item that I have a little trouble with are sweet potato fries which I can't seem to crisp up without oil and I keep burning them. I think it is because of their moisture content and texture, but I have a friend who cooks them successfully all the time so I'll have to get some tips. The big question for me was, how does this so called "airfryer" do with chicken wings. My first attempt I filled the entire basket up with fully frozen jumbo chicken wings, which was a bit of a mistake as it took well over 30 minutes to cook about 10-12 wings, but the result was still amazing. The wings had that outer crispness and inner juiciness that was just like they were deep fried. I have worked in restaurants for about 15 years and have deep fried many wings, and these looked exactly like a wing that came out of a deep fryer - they just weren't greasy. When I covered them in my own homemade mild garlic wing sauce, I could not tell the difference between these wings and a deep fried wing. I was totally amazed, and unfortunately for my personal oil-filled deep fryer, this successful wing venture meant it got sent to the dead appliance storage room. Learned lesson and TIP: Defrost your wings and STEAM them to render the oils in the skin of the wings before placing in the airfryer for the crispiest wings of all time! I've owned the machine for about 4 months now and it is holding up very nicely. It cooks just as well as it did on day one. The non-stick coating is holding up nicely, and I have to say it is very easy to clean - easy for me to say because my wife is always the one doing the dishes, but I've cleaned it a few times myself! We haven't put it in the dishwasher yet, but a quick hand wash of the basket and pan takes no effort. We leave it right on our counter at all times because we use it so frequently. My little one is quite a picky eater, so this machine allows me to make dinners for my wife and I that my daughter would never eat and at the same time toss something that she will eat in the airfryer. Our life is also so crazy that it's hard to plan meals, so to have some frozen stock on hand that can be cooked in the airfryer in less time than it takes to preheat the oven is so helpful. I have also made chicken parmesan and a few other items in the air fryer, but haven't gotten too crazy experimenting. 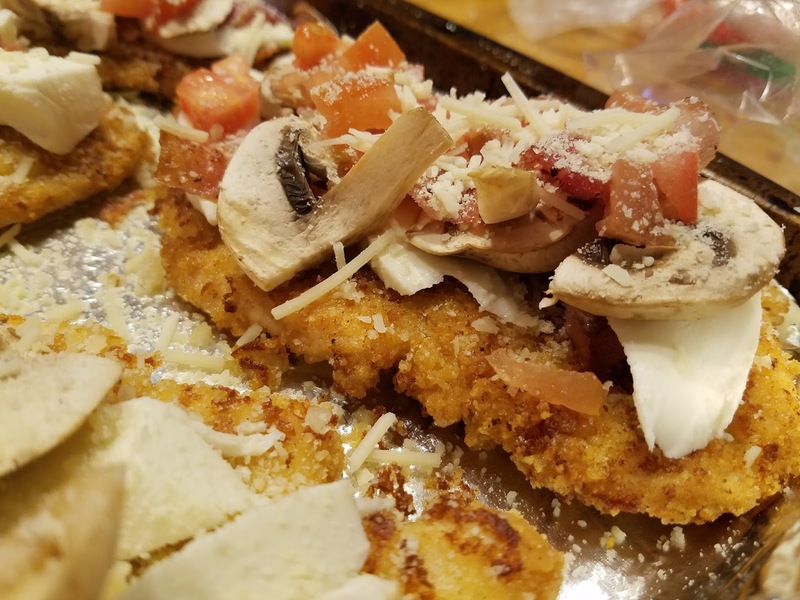 My friends who have them tell me they have made fish, chicken breasts, roasted vegetables, and even cakes in the airfryer. They say almost anything you can put in an oven or fryer can be cooked in this appliance. People like myself can't come to terms with this new concept. A lot of people ask, does food taste baked or fried? I think it tastes more fried if you can imagine that. It has to be because the air circulates and crisps up the outside while slowly cooking the inside much the same way that oil reacts to the surface of food in a traditional fryer. Although I was very skeptical at first, this device has been a total game-changer for my household. It helps us eat a bit healthier, but the convenience and time savings are really what drives our use. I can honestly say this is one of the best kitchen appliances I've ever owned and can safely recommend this Phillips Airfryer to my readers. 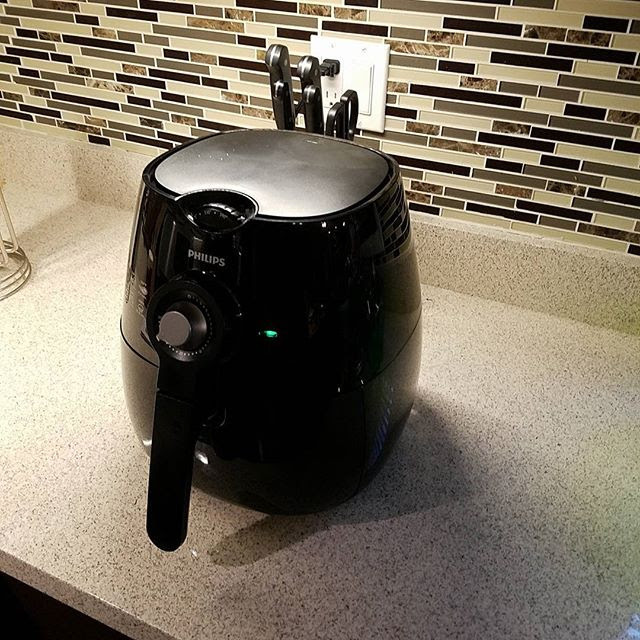 Interested in an airfryer of your own? 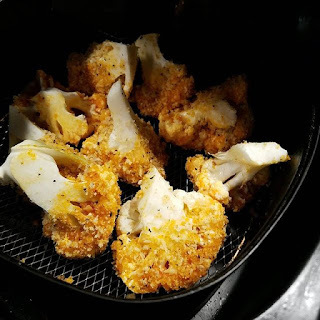 Here is a link to my Phillips Airfryer! Making Boneless Wing Bites in the Air Fryer. 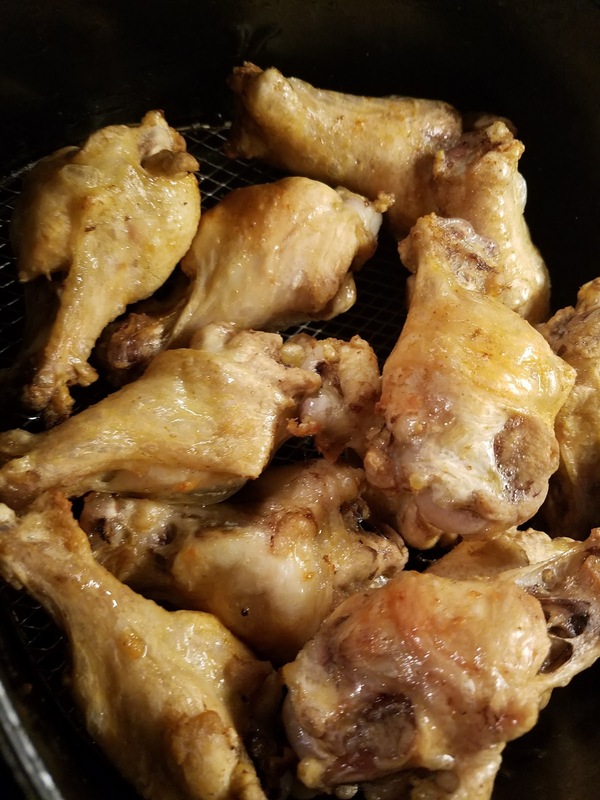 I did a quick flash fry here beforehand, but I found you don't need to to get crisp and tasty wing bites! Making some chicken parmesan in the air fryer. Simple and easy and it comes out crispy and moist! 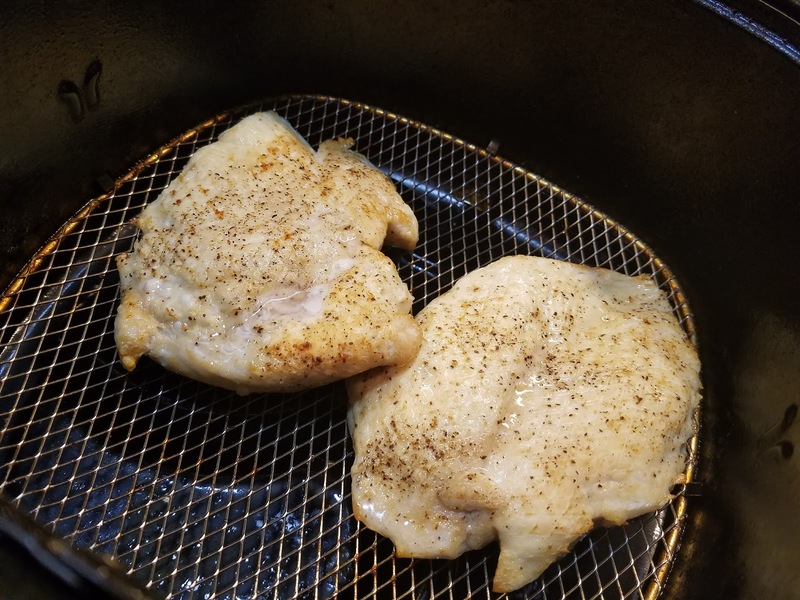 Chicken breast seasoned simply with garlic, salt, and pepper.